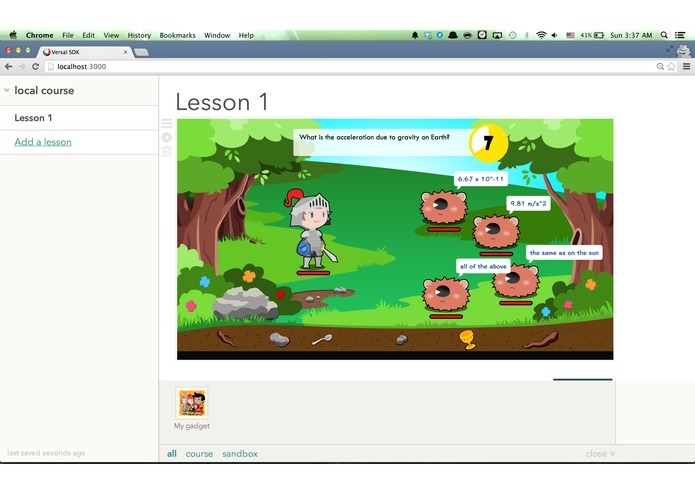 Versal provides a great platform for teachers/authors to create interactive lessons online. There are a lot of gadgets available to help the content interactive. One of the is Quizlet. However, the games Quizlet provides is not very interesting, and not very intuitive, so we integrated a canvas RPG game to make answering question more interesting.